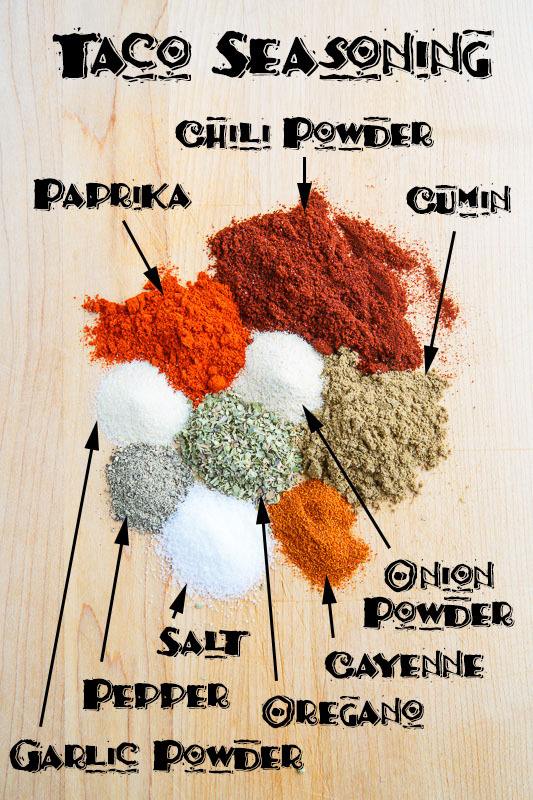 Homemade taco seasoning that is perfect for taco night with ground meat or to season chicken or to season chili, etc. Taco night was always one of my favourites when I was growing up and the key to good tacos is a tasty taco seasoning. Back then taco night was always from a box or a package and although I remember those meals fondly when I take a look at the ingredients and see things that I do not recognize and can’t really pronounce I just have to make my own. Homemade taco seasoning is actually really easy to make and you can control the amount of each ingredient so if you like things spicy you can increase the chili pepper powder and it you want to reduce the sodium you can easily cut back on the salt etc. 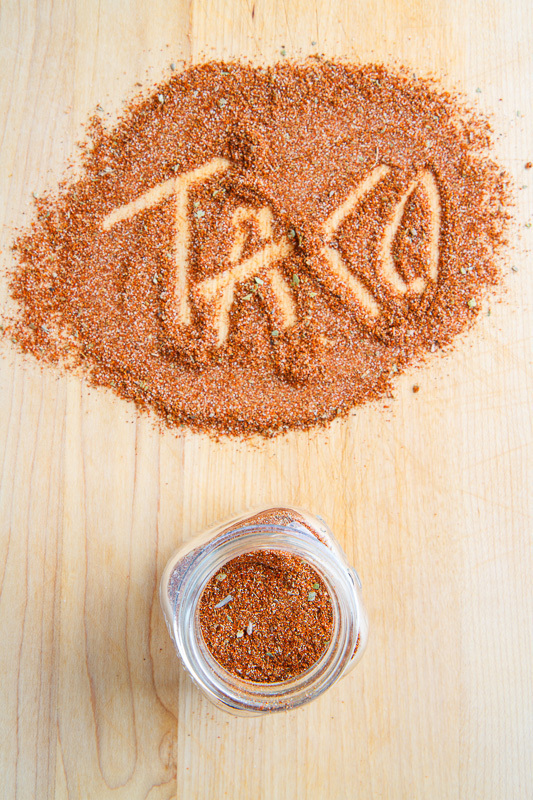 This homemade taco seasoning consists of chili powder (ground chilies), cumin, paprika, oregano, garlic powder, onion powder, salt, pepper and cayenne. This recipe makes enough for one taco night dinner with one pound of ground meat but feel free to make a much larger batch so that you have some on hand and you don’t have to make it every taco night. 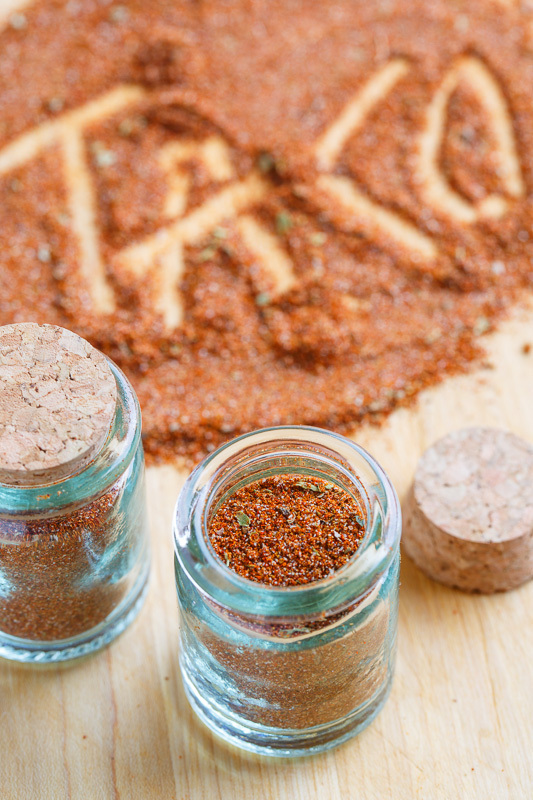 Once you try this homemade taco seasoning you will never go back to the store bought packaged stuff! Option: Add 1 teaspoon corn starch to thicken. Wow, it's really incredible that you make everything yourself, down to the seasonings! I could only dream of such patience. But I'll definitely try this recipe! I loved when my mother made tacos and back then, that meant the Old El Paso variety out of a box. But now, I make our own taco seasoning, grill steak or chicken, and have great tacos. Ground beef works, but shredded beef or chicken makes it phenomenal. Wow, that's impressive. For some reason I thought I was just doomed to using those packets. Well, I probably still am since I'm moderately lazy. But at least you show there's an alternative! Wow, the seasoning sounds great! Very versatile too! Thank you! Love veggie tacos but have avoided them simply because of the packets. Now I can begin enjoying them again. Oooh, I love tacos but hate the packaged seasoning 'cause they're so salty! I'll have to give yours a try. Thank you for posting this! I have been wanting to make homemade taco seasoning for such a long time, but never came across any recipes that inspired me. This one (and your resulting tacos) definitely did! Can't wait to try it! Sounds like a great blend you have here,I also like to make my own spice mixes. This is good to have on hand! I'm glad to see other people abandoning the packets, which generally have way too much sodium to be healthful. This is the same recipe from Allrecipes that I've been using for a while because it let's me reduce the salt content of our taco meals (my husband has high blood pressure). Besides using your own peppers to make the powder (which is good for controlling the heat when serving kids), you can also saute the meat with fresh garlic and onions instead of using the powdered garlic and onion in your mix. I also sometimes add a teaspoon or two of sugar depending on the bitterness from whatever pepper I'm using and also add between a couple teaspoons to a tablespoon of cornstarch to the dry mix, and about a third of a cup of water during cooking to the mixture. That makes it a little saucier (my kids seem to like it this way). By the way, I can't say it enough — I always enjoy reading your blog. I am so impressed that you can get such a good picture of your seasoning. This is a great seasoning and so much better than what you can buy in a packet at the store. If you get your hands on some sweet smoked paprika try using that in place of regular paprika. The smokey flavour is amazing. Hi Kevin, I had to tell you I made this taco seasoning and it was wonderful! I raved about it on my blog 🙂 Thanks! Mmmmn, I love tacos and I hate buying the seasoning so I will give a homemade seasoning a try once again. I tried another one before and well it just wasn't very good. But this one sounds good just looking at the ingredients. Hope you don't mind, gave some link love to ya on my blog. Thanks for the seasoning recipe. I used it tonight when I made tacos. I used the Mealstarters meat substitute and this as my seasoning and it was great! I love that you post these types of recipes! 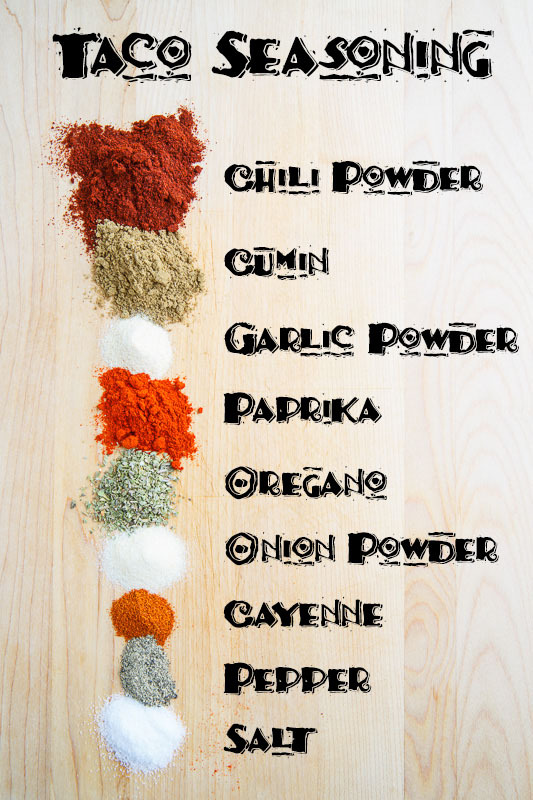 It de-mystifies some of the spice blends that are pre-packaged out there. Thanks for this recipe – you really disenchanted the store bought mix! Way to go! I've made this twice now, Its very, very good. Fun seasoning for so many things! it's always better homemade! Especially when it comes to all things taco!! DORIS CASTILLO: I am not familiar with the aji especial rojo but it sounds like it is a hot pepper so you should be able to use it in place of the cayenne pepper. 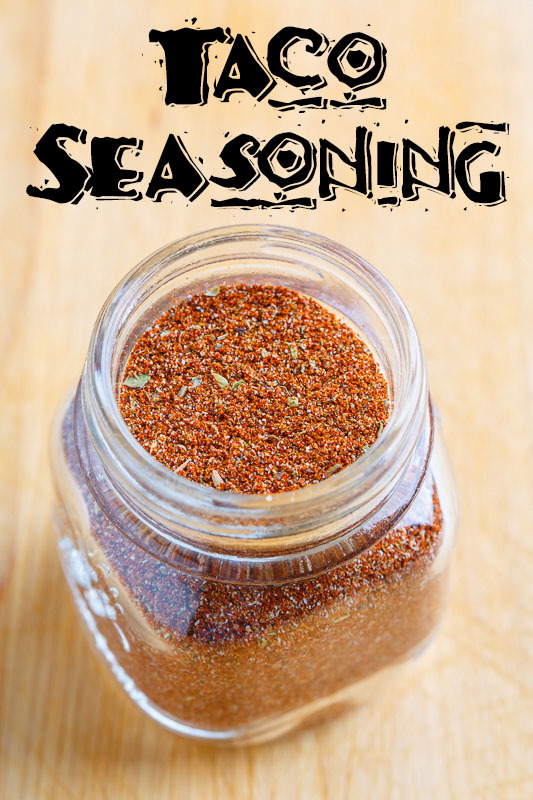 Hi – I want to make a large jar of this seasoning and was wondering if multiplying the quantities was fine when mixing? anabanana: Multiplying the quantities works great! I usually make big batches! I use this on my chicken tacos and it flavors everything nicely. Can this be used for fajitas as well?